Thank you for your interest in Marin Montessori. Our admissions process is designed to give you a variety of opportunities to understand and experience the wonder of Montessori education. Through the admissions process you will be able to determine if we are the community where your child and family can blossom and thrive. I encourage you to learn as much as possible about our programs. Throughout this process, please don’t hesitate to call me or email me. It is my absolute pleasure to help. I love getting to know families through the Admissions process – it’s what makes this work so gratifying. Most importantly, please join us at one of our upcoming events, which will give you the opportunity to experience Montessori education first hand. On campus, you will meet MMS parents, experience our warm community, and get a taste of the special culture we have built. Joining us while our community is in action will ensure that you feel confident you have made the right choice for your child when it comes time to make your decision. 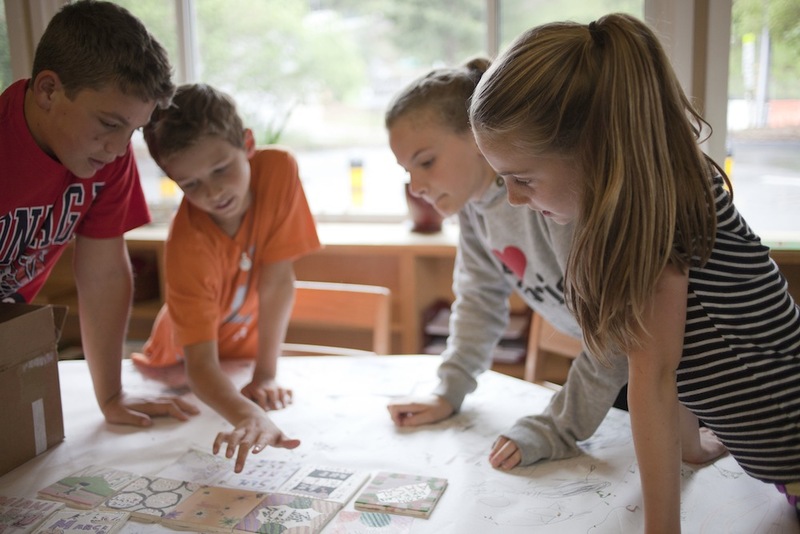 Should you choose Marin Montessori, you will find that your son or daughter will love learning, feel valued, and be an active contributor to the school and classroom community. Choosing Montessori will provide your child with a strong foundation to lead a joyful and meaningful life.You won’t find any place like Marin Montessori. MMS students come from all over the Bay Area with transportation to serve our thriving community of San Francisco Families. It’s a very special place and I look forward to introducing your family to all that we have to offer. I hope to hear from you soon. Tours give prospective parents the opportunity to observe first-hand the unique teacher-student relationship and the Montessori approach in action. We know that choosing the right school for your child(ren) is an important decision and a tour of our program is an essential part of making this determination. Tours are held weekly from October through February. Registration for our Adults Only tours will begin in early September through our online portal. Please note that our tours fill up quickly. Therefore, we encourage you to be placed on the list as soon as possible. Join us for a morning of discovery at an Open House. During the two-hour program you will gain additional insight into our program through presentations by our faculty and in conversations with staff, alumni and current parents. Attending an Open House is a critical part of the Admission process. For admission to Fall of 2019, Open House programs will be held on Saturday, October 20, 2018 or January 26, 2019. Please note that Open House is an adults-only event. Applications are accepted throughout the year and should be completed through our online portal. There is a $100 non-refundable fee per application. The Priority Deadline for Fall 2019 admission is January 31, 2019. Click HERE to apply. A Student Evaluation form is required for any child who has had previous school experience. This form must be filled out by your child's teacher and returned directly to us by the teacher within two weeks of the submission of the application. If you are applying to our Elementary or Junior High Programs, you will need to submit a signed records release request to your current school. This will allow us to obtain copies of current school records, including progress reports, grades, and standardized test scores. All forms can be found on our website in the application section. Visits are conducted differently at each level to match the developmental norms and needs of children. These visits allow the admissions committee to get to know your child better and to observe your child in the Montessori environment. Upon receipt of a completed application, including all supporting documents, the Admissions office will contact you regarding a classroom visit. Please note that visits are scheduled based on availability in the visit schedule. Additionally, in order to protect prospective students, we aim to schedule visits only if there are available spots in the program level for which your child is applying. However, families are welcome to submit an application at any point, even if a grade is full, as there may be openings at a later date. Starting at the Primary level, Montessori classrooms have a mixed-age environment (3-6 year olds, 6-9 year olds, and 9-12 year olds and 12-15 year olds) to allow for both individual and social development. We strive to balance each class by age and gender, meeting Association Montessori Internationale standards. · Decision letters and enrollment contracts for students younger than 5 years old are e-mailed to applicants on Thursday, March 14, 2019. Contracts with deposits are due back on March 20, 2019. · Decision letter and enrollment contracts for students 5 years and older are e-mailed to applicants on Thursday, March 21, 2019. Contracts with deposits are due back on March 28, 2019. Once decision letters have been e-mailed, in accordance with the Principles of Good Practice of Bay Area Directors of Admission, no member of the Marin Montessori community will contact you prior to the contract deadline. Bay Area Directors of Admission have agreed that this is a decision making time for your family. We are, of course, available to support you should you need any support as you make your decision. NOTICE OF NON-DISCRIMINATORY POLICY AS TO STUDENTS: Marin Montessori admits students of any race, color, national and ethnic origin to all the rights, privileges, programs and activities generally accorded or made available to students at the school. Open House is a day for parents to connect with our Montessori community and better understand our program. Attendees will meet our AMI – certified teachers, who will open their classrooms, while demonstrating their expertise in the Montessori philosophy and its application. Current parents, student ambassadors and alumni will also be on hand to share their experiences at Marin Montessori and to answer your questions. There will be time to explore our carefully prepared classrooms, the Montessori materials and see our beautiful school grounds. We offer two Open House events every year - one in late October and one in late January. Thank you for your interest in Marin Montessori. Our Admission Season for Fall 2019 kicks off in October with plenty of in-person opportunities to visit our campus and get to know our program. We hold weekly tours from late October through February. Sign up for a tour using our online system based on your child's age. If you have any questions about which tour to join, email or call the Admissions Office at 415-924-5388 x 104. Additional School Care is available to students enrolled in the Toddler, Primary and Elementary levels. Note that Morning Care is a separate package. There is no afternoon ASC for toddlers. Marin Montessori School attempts to provide Tuition Assistance to any family experiencing a financial hardship that renders them unable to pay the full tuition. Tuition Assistance is available for families in Primary, Elementary and Junior High. Families requesting Tuition Assistance must apply on the School and Student Services website. For current MMS families, applications are due November 26, 2018. For families new to MMS, the Tuition Assistance application is due on January 31, 2019. Click here for online application information. Marin Montessori School uses the services of School and Student Services (SSS), which processes each Tuition Assistance application on an impartial basis to determine the financial need of the family. The Tuition Assistance Committee considers all applicants and makes awards based on the Tuition Policy Statement and the amount of funding available. We offer programs for students from Toddler to Junior High, and seek to have a diverse student and parent body. We welcome families of any race, color, gender, nationality, ethnic origin or sexual orientation. Accordingly, Marin Montessori School does not discriminate on the basis of race, color, gender, religion, disability, sexual orientation, national and/or ethnic origin in the admissions process, its educational policies, programs, and activities, tuition assistance, or employment.